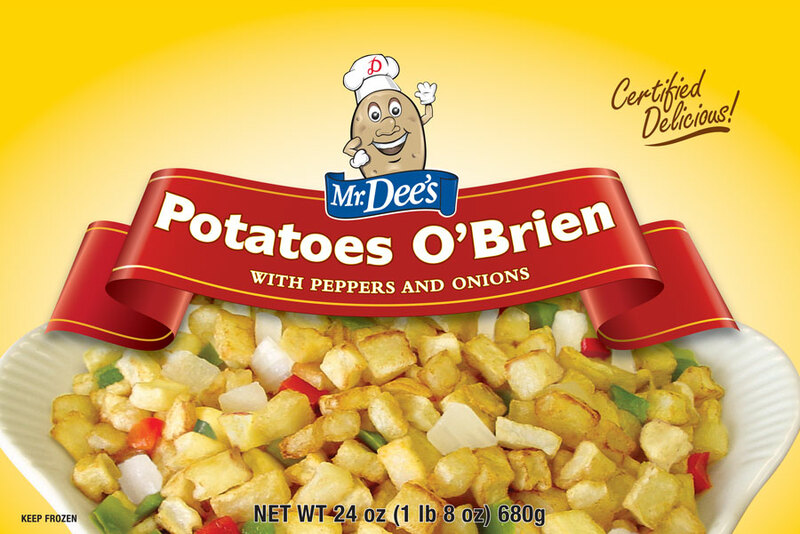 Our Potatoes O'Brien are made with diced potatoes, onions and peppers and make the perfect addition to breakfast, lunch or dinner. Made with A-Grade potatoes and premium vegetables, they cook up easily in minutes on your stovetop. POTATOES, ONIONS, GREEN PEPPERS, RED PEPPERS, DEXTROSE, SODIUM ACID PYROPHOSPHATE (TO RETAIN NATURAL COLOR).